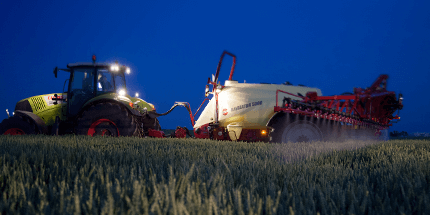 Timeliness is crucial to modern plant protection. 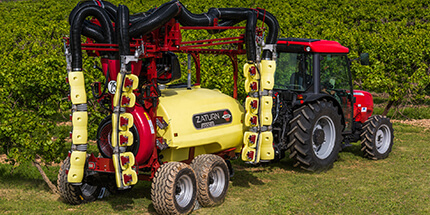 This places heavy pressure on the reliability and performance of spraying equipment. 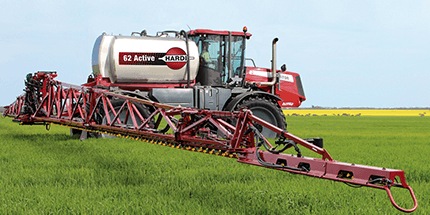 If the sprayer was rushed into storage at the onset of harvest, it can be well worth using the post-harvest period for some more detailed maintenance to ensure it will be ready when needed. 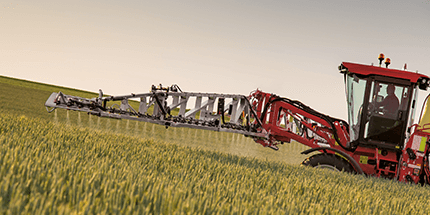 The following items are some basic maintenance tasks that will help protect your investment in the sprayer's reliability and precision. 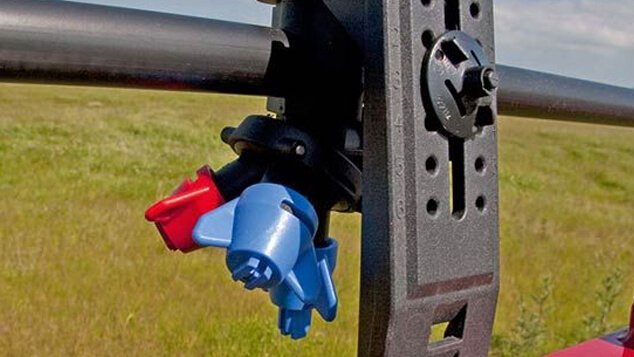 For the boom to operate properly, it is important that it has been adjusted and lubricated correctly. 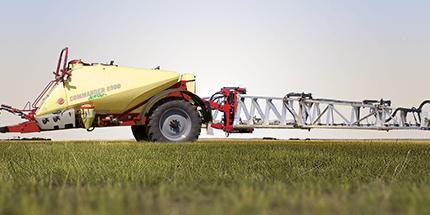 This includes correct restriction of hydraulic oil to prevent boom damage when folding and unfolding it. The instruction manual for your boom wiill indicate the correct adjustment and lubrication procedures. 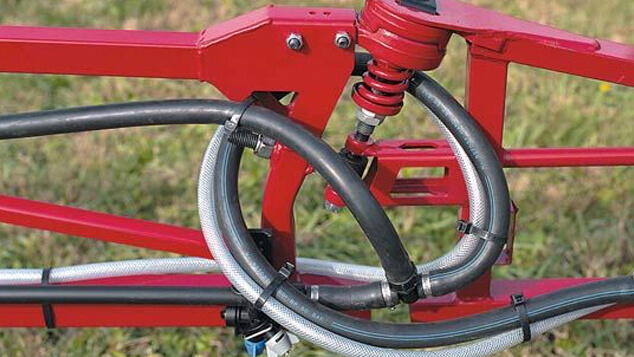 Check all tubes and hoses for damage or loose fasteners. 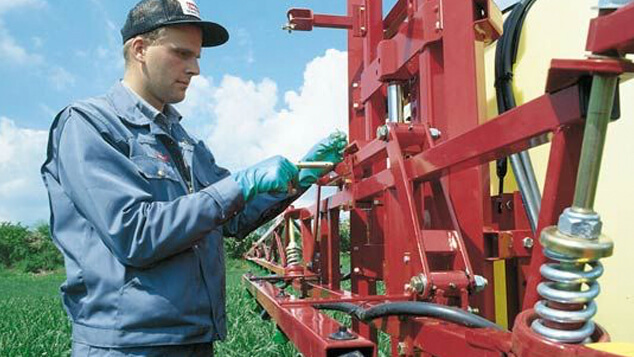 Change damaged hoses and tighten any connections which may have become loose. If a leak persists, dismantle the joint, clean it, lubricate the O-ring, and then re-assemble. 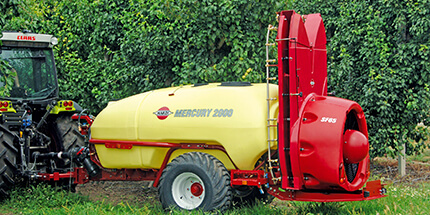 Sprayers should be cleaned immediately after every use, both internally and externally. 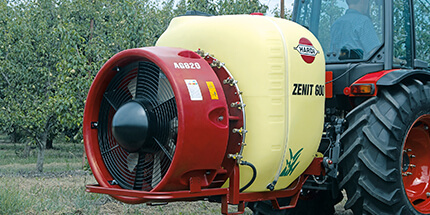 This protects the sprayer and prevents crops from unintentional chemical mixing. 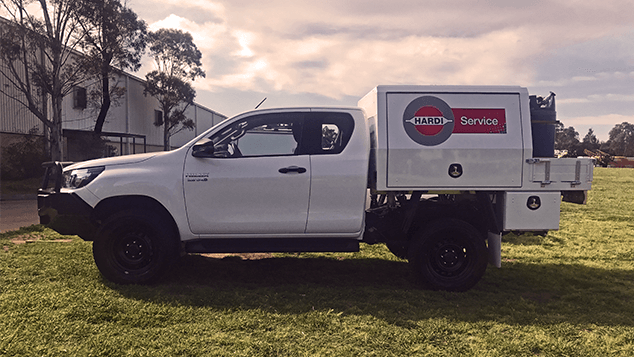 Along with cleaning, all spray functions should be tested with clean water to identify any potential problems or leaks before the next spray job is needed. Check the function of the control unit with clean water. 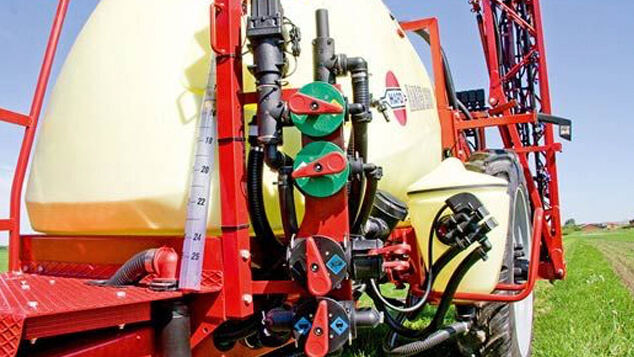 If the nozzles drip when the main ON/OFF is closed, it is likely that the valve ball and seat are worn. Change if necessary. The boom section valves must also close completely. Open the main ON/OFF and all section valves with the pump working. When the return hose from the constant pressure valves is removed and the housing drained, no water should appear at the valves. If the section valves are not completely sealed, the valve cone should be replaced or capacity will be reduced. Finally all movable parts of the control unit operating handles should be lubricated with oil. 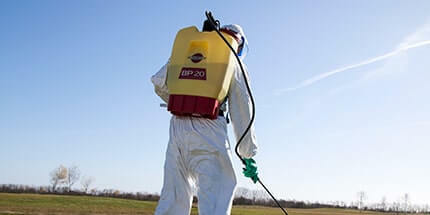 Many pesticides leave residues, which may be left in the filters. 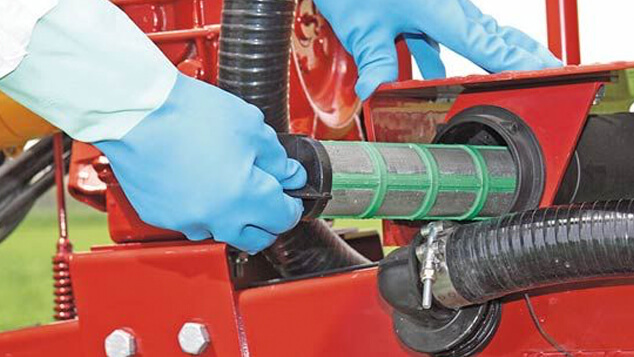 Disassemble the suction filter, self-cleaning filter, control unit filter, line filters and nozzle filters and clean them with a brush and soapy water. Overnight soaking of the filters is often very helpful. Check the filter inserts and change any that are damaged. 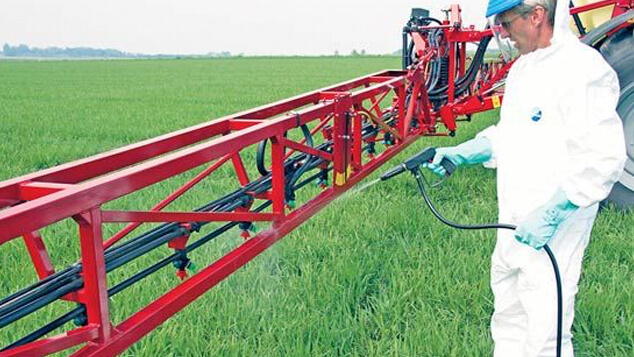 Nozzle condition is critical to achieving even, accurate spray distribution. 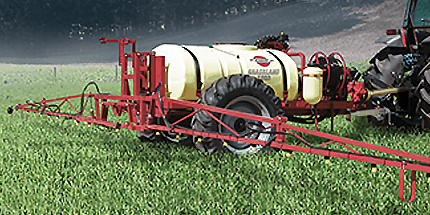 While spraying clean water at normal pressure, carry out a visual check of the spray pattern from each nozzle. 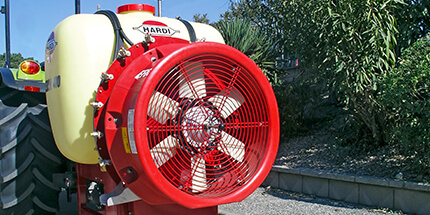 Irregularities in the fan pattern are a clear sign of damage or wear. 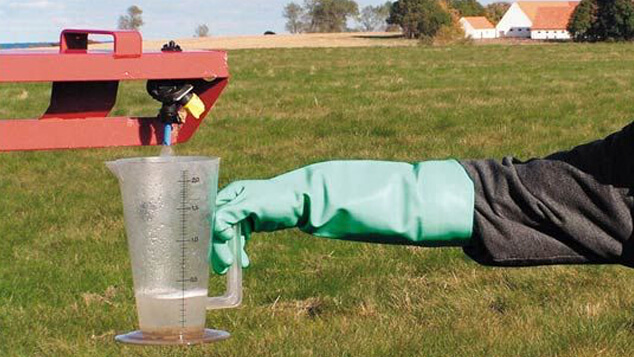 Next, use a measuring jug to calibrate the flow rate of the nozzles. 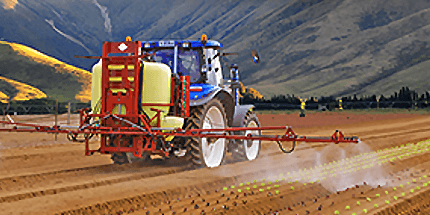 Flow rates of up to 10% above the table values are acceptable, but if a higher rate is noted the nozzle is worn and all nozzles should be replaced. The glycerin-filled pressure gauge is a precision instrument and must be stored frost-free. ABS casings will absorb moisture so the casing must be punctured to prevent damage. 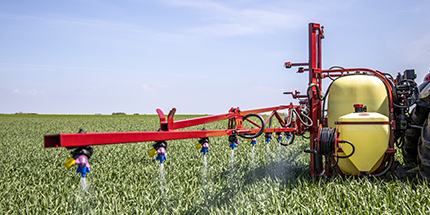 A simple way of checking the gauge is to mount a completely new set of nozzles and calibrate their flow rate at a fixed working pressure – e.g. 3 bar. If the flow rate matches the table value for the set pressure, the pressure gauge is most likely reading accurately. Check that the guards of the transmission shaft are in good condition and lubricate the shaft. 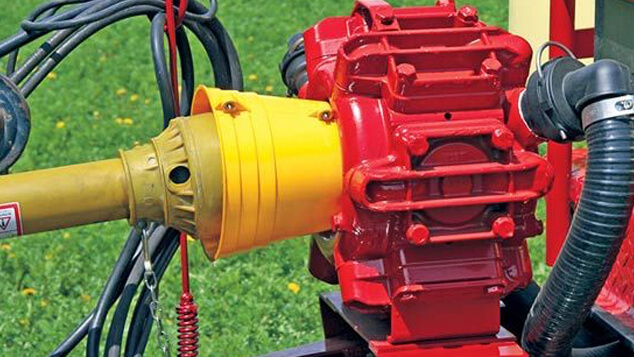 Be sure to re-attach the safety chains to prevent the shaft covers from rotating with the shaft. 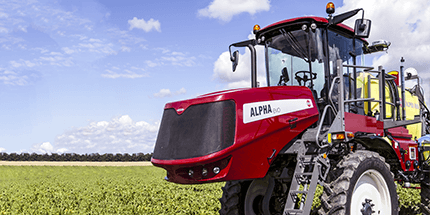 It is also important that the profile tubes are well lubricated so that the shaft is free to move move backwards and forwards during operation. Check the valves for failure and wear. 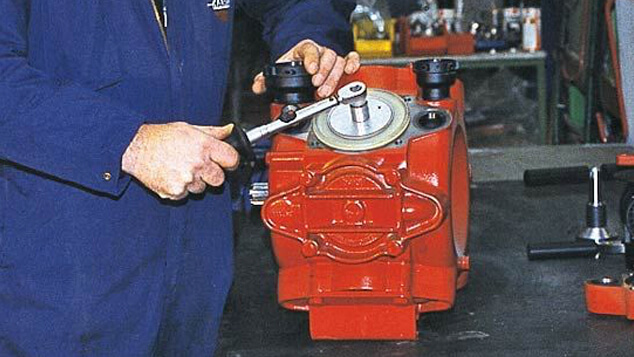 If wear is found, it is best to change all valves at the same time. 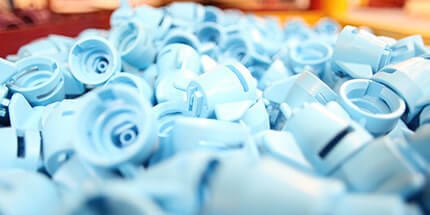 Use new valve sealing rings when the valves are re-assembled. Check the diaphragms for cracks. If one diaphragm has a crack, change all the diaphragms as the others will be liable to fail in the near future. Finally grease the pump. Only a few pumps of the grease gun are necessary. 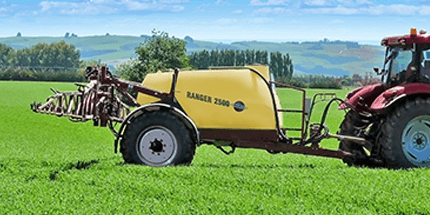 Many pesticides are highly corrosive, will discolour paint, and can be extremely difficult to wash off once dried. 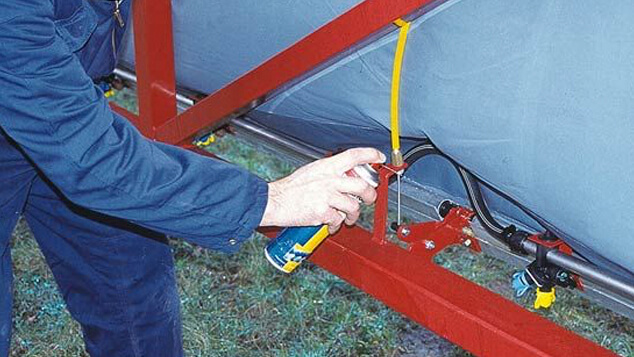 You should therefore protect all the metal parts of your sprayer with a thin layer of penetrating, water-repellent rust prevention oil. There are many suitable products available. 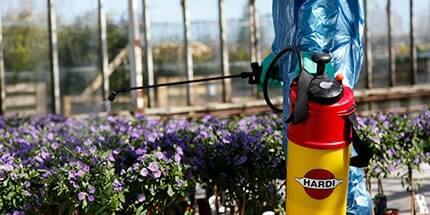 The idea is to leave a protective film of oil on the sprayer, so it can be washed completely clean after use.